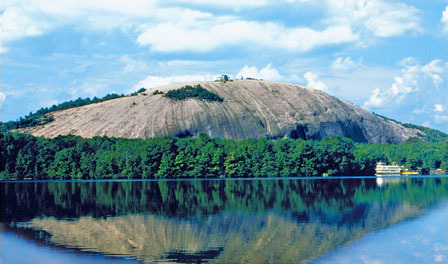 Today, Jane and I make our 12th hike up Stone Mountain. We set ourselves a goal of hiking up the mountain 100 times by the end of the year. We had 7 when we started the year, but were stopped by icy conditions from getting started in early January. In the last two weeks we’ve been up 5 more times. It’s a good hike. Pretty difficult at times, with some slopes that require handrails for safety. But it’s close to home, and we generally can finish in a little bit more than an hour. When we first started hiking the mountain it took two hours, so it’s fun to see the progress already .